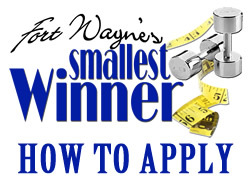 I am a junior at the University of Saint Francis, and I have been given the awesome opportunity to intern with Fort Wayne’s Smallest Winner! I am currently studying Exercise Science, and in the fall I plan on applying for the Nutrition/Dietetics program that has recently been offered at USF! I work part-time at Planet Fitness, and I absolutely love it there. 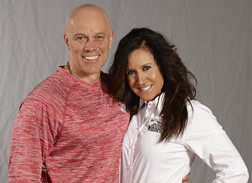 The members are one of the best parts about the job, as well as getting to know all of my co-workers! I recently started working there - about three months ago - so I am still learning the ropes a little bit. When I am not working or at school, I like to spend my free time exercising with my little sister (we are best friends), hanging out with my friends and family, and playing outside with my 6 month old puppy! In the summer one of my favorite things to do is attend concerts with my best friends, we have a concert crew and it’s always a blast! 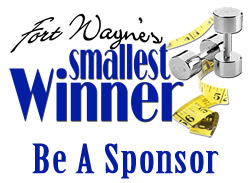 I’m really looking forward to Season 9 of Fort Wayne’s Smallest Winner, and I am so blessed to be apart of this team!